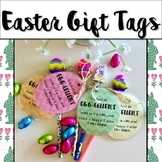 These gift tags are an adorable way to wish your students a "hoppy" holidays!File is a PowerPoint document with editable eggs to add your name and your students names. Simply print onto coloured paper of your choosing, cut and gift! 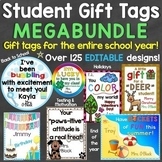 Your students will love this thoughtful gift! 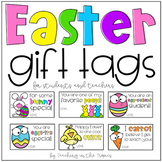 Printable Easter Gift Tags for students, teachers and friends. Simply punch a hole through the top and tie to a bag of easter eggs for a sweet gift! 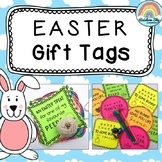 Please contact for personalised tags. 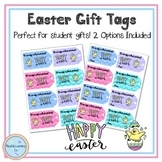 Easter gift tags perfect for students! 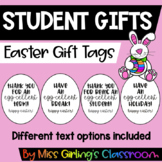 Print on Astrobrights paper for a bright and colorful tag for your students! 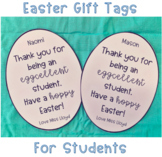 Easter/End of Term 1 Photo Card plus Easter gift tags! 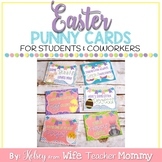 Perfect for easter presents! Great for end of term presents, or even printing out as they are and handing out to your students. I like to attach a little gift bag to mine! Simply print on coloured cardboard of your choice and attach to whatever you like! 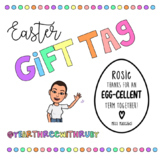 Grab this FREE gift tag for your students' Easter treats. Give your personal touch and personalize it!